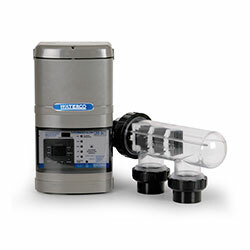 Golden Coast is an authorised distributor of Waterco products to the UK wet leisure industry. Waterco is an Australian based company that has been established for over 30 years with a strong international presence in the water industry. The Waterco Aquamite is an ideal pump for swimming pools and small recirculation systems including ponds and small water features. 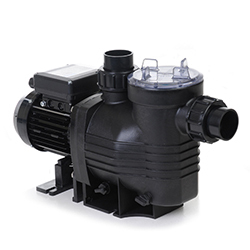 Available in 0.5hp, 0.75hp, 1.00hp 1.25hp single phase and protected by a secondary seal, features of this versatile pump include a 0.9 litre strainer basket and 50mm/ 1½” quick connect unions for ease of installation. 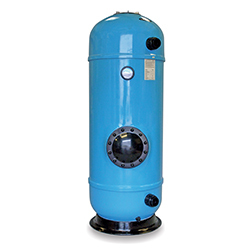 The Hydrochlor Salt Chlorinator from Waterco will automatically maintain the chlorine level of a pool and eliminate problems associated with periods of very high or low chlorine levels. Fewer fluctuations in chlorine levels mean fewer fluctuations in pH levels. This adds up to more stable, balanced water.